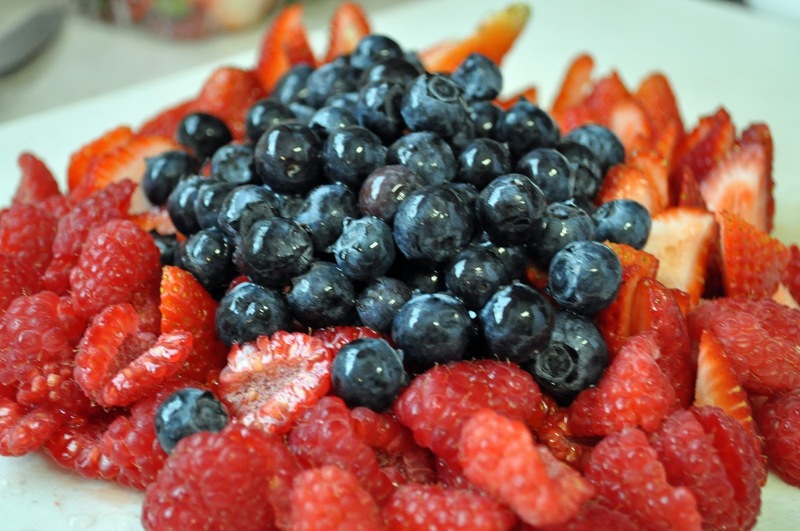 Strawberries, blueberries, raspberries...the summer fruit season is so yummy! For years, my mother-in-law has made the most delicious fruit dip. She mixes 1 8oz block of cream cheese with 1 7 oz. jar of Jet Puff. 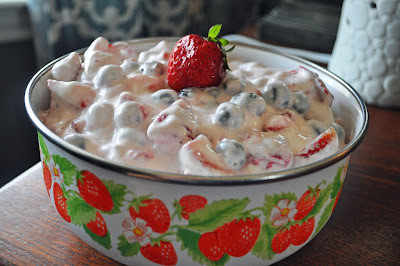 It is the best fruit dip and goes with just about any type of fruit. After trying a grape salad recipe (Grape Salad), I decided to play with the ingredients to see what I could come up with. 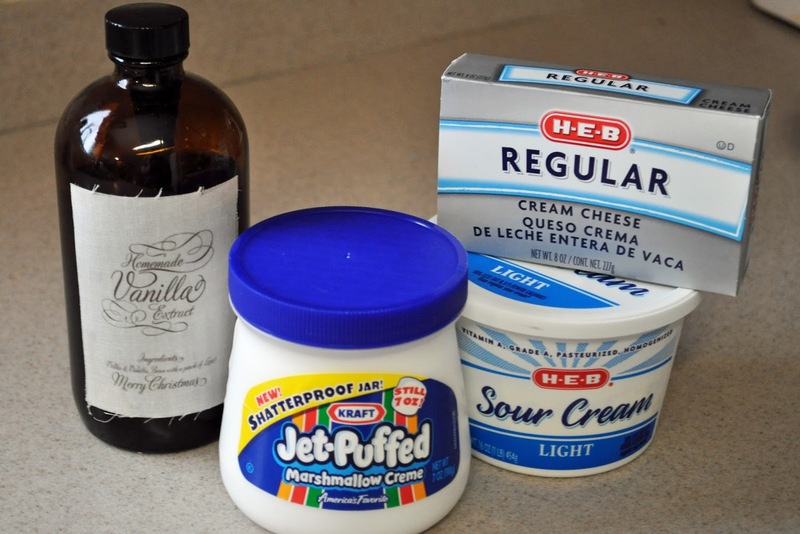 I took the cream cheese and Jet Puff from my mother-in -law's recipe and the sour cream with vanilla from the grape salad recipe. Then I decided to only use berries that are currently in season (although I think almost any fruit would be great). The outcome was Triple Berry Delight. This looks like Heaven for Jared! I'll probably need to make this some time this summer. Oh, seeing Grandma's bowl makes my whole heart happy (and sad). :) What a great recipe you created!